Home › Real Estate › How to Protect Yourself From Real Estate Scams? 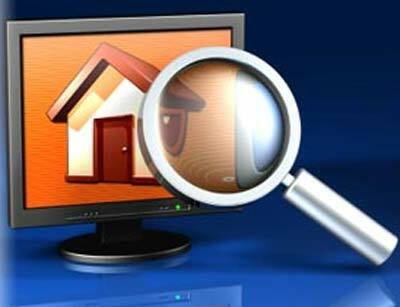 How to Protect Yourself From Real Estate Scams? The real estate business has evolved greatly in the past few years and so did the scams associated with it. If you are a new real estate investor then make sure to get proper protection against these scams. Anyone with a professional license does not mean that he is honest. It can be really scary while starting with the business and there are chances that one may get into these scams due to the lack of proper guidance. We are going to discuss some tips which will help you in getting aware of these scams and will help you in investing your money safely. Generally one can get enough resources from the local real estate committee and they are quite helpful in advising for “fishy” or extremely good deals for a new investment. If you are dealing with an unknown dealer and that too when concerned with an empty home, it is better to ask for his I.D. It is quite common to find traders who deal with vacant houses and trade for the property without actually owning it. While making any real estate transaction, make sure that your agent or your attorney is having a proper knowledge of it. It will help you in having some experts reviewing all your deal and they may even indicate you in case of anything fishy in the deal. The best practice is to get in touch with the local government authorities and find out any pending liens against the property you are planning to invest in. It can be really crucial and you can save thousands in future. One of the best method is to run your comparative research through any possible resources and especially if you are unaware of the current rates in the market. You can do a comparative research before every investment you are making in the real estate market. It is better to get into these deals with proper arrangement of money, so that you are not pushed into funding money from unknown resources. It can be very costly to rush into a new financing option. There is nothing to get scared in these deals but these tips will help you in getting the best deal possible for you. Always keep in mind that this is a great business if you are keeping up with these security tips and you’ll enjoy it very much. October 20, 2013 How to Protect Yourself From Real Estate Scams?